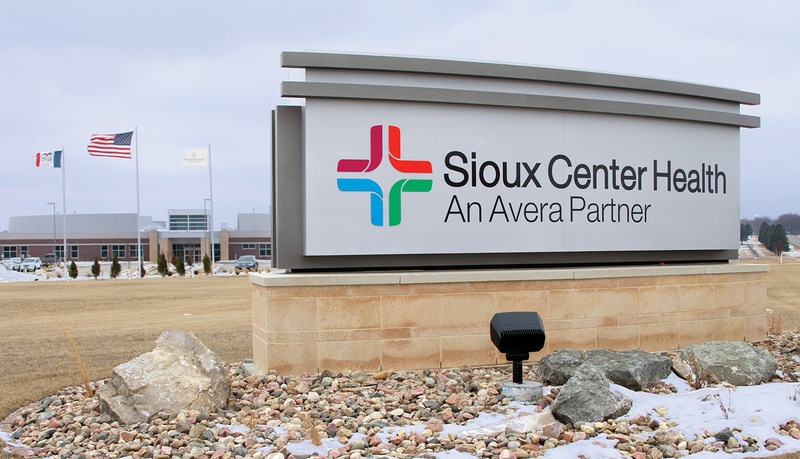 The community of Sioux Center built a new 120,000 sq. 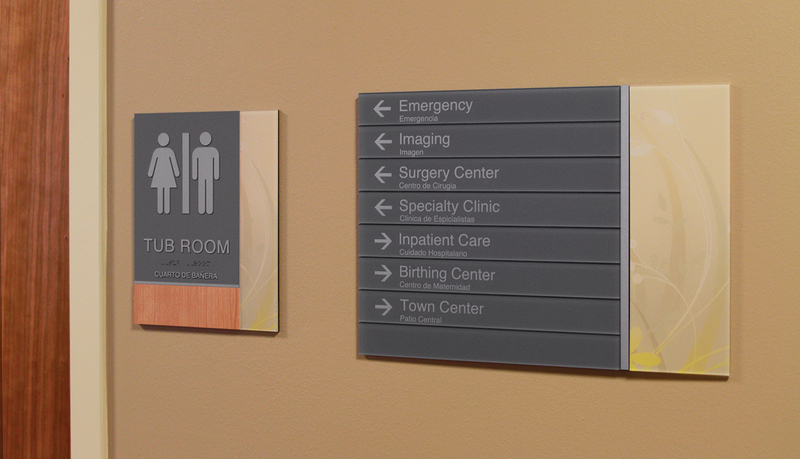 foot state of the art hospital and medical clinic opening in 2014. 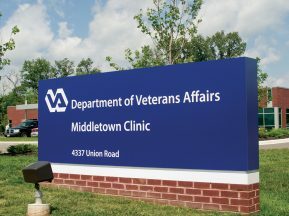 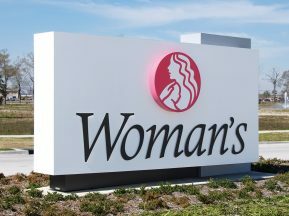 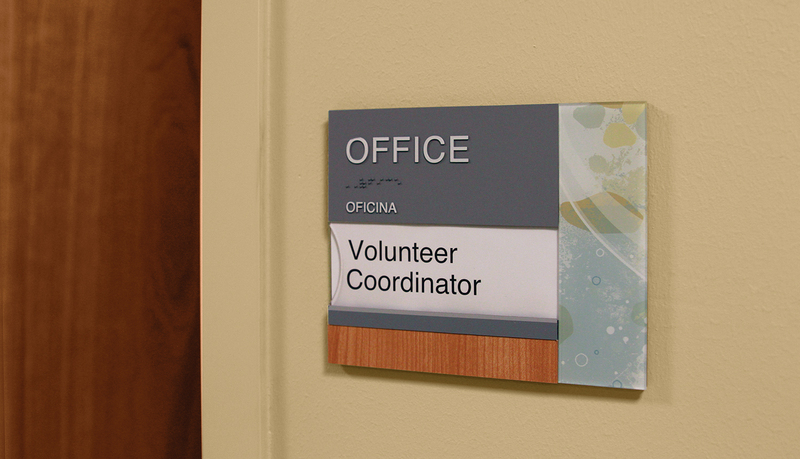 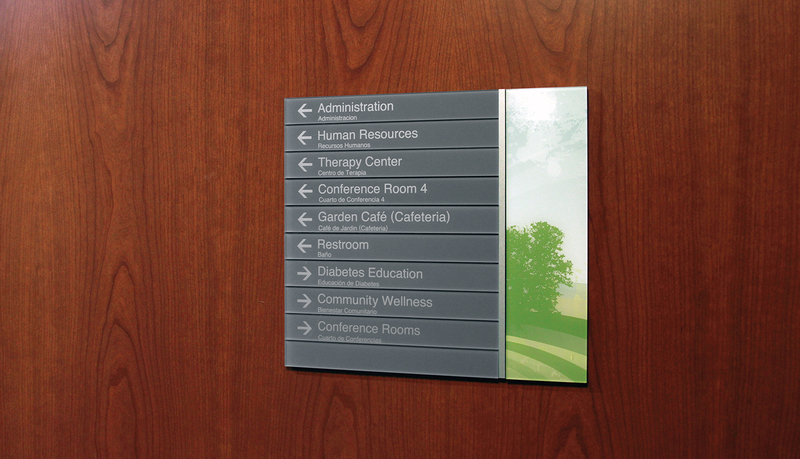 A comprehensive project scope outlined all requirements including interior and exterior signage, digital displays, a donor wall and a wayfinding solution. 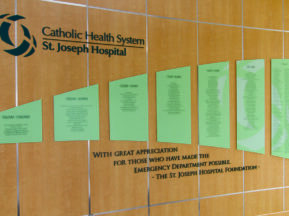 Furthermore the hospital was going through a re-branding exercise during the construction and it was key that all new branding criteria were included in all design components. 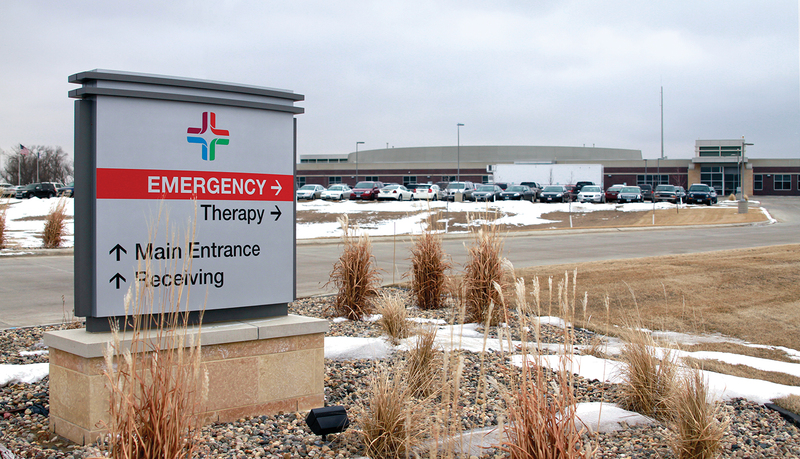 In addition the hospital Foundation needed greater visibility within the local community and appreciation and understanding of the Hispanic community needed to be represented. 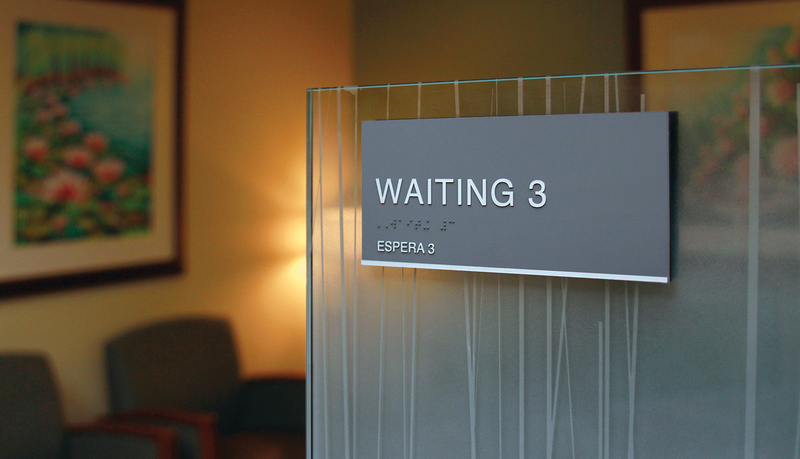 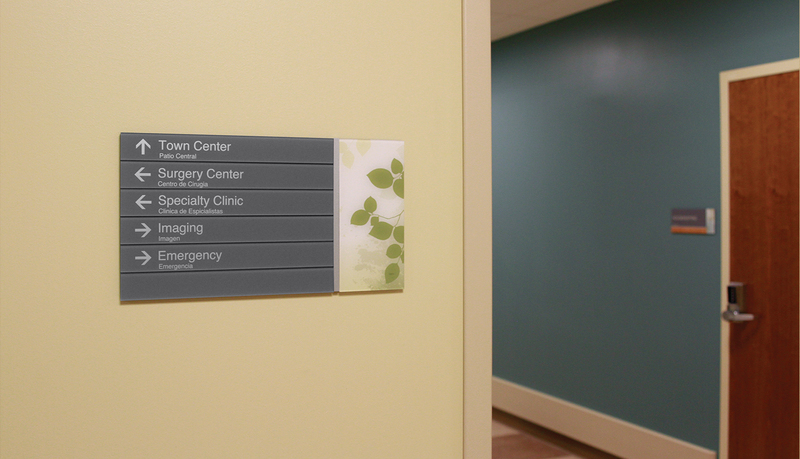 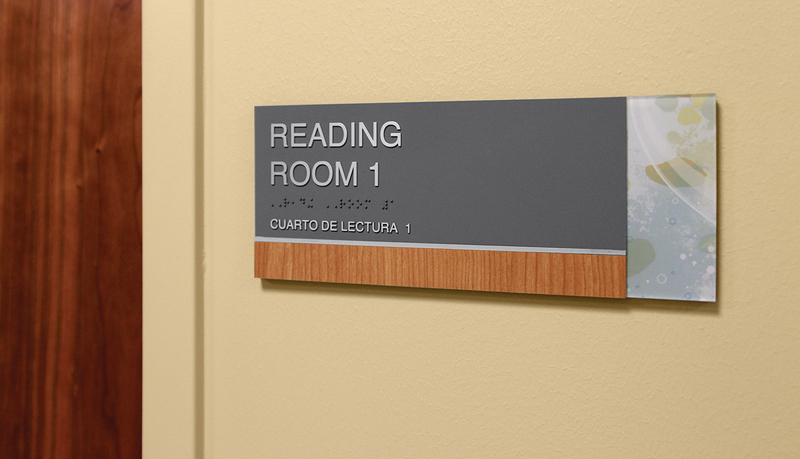 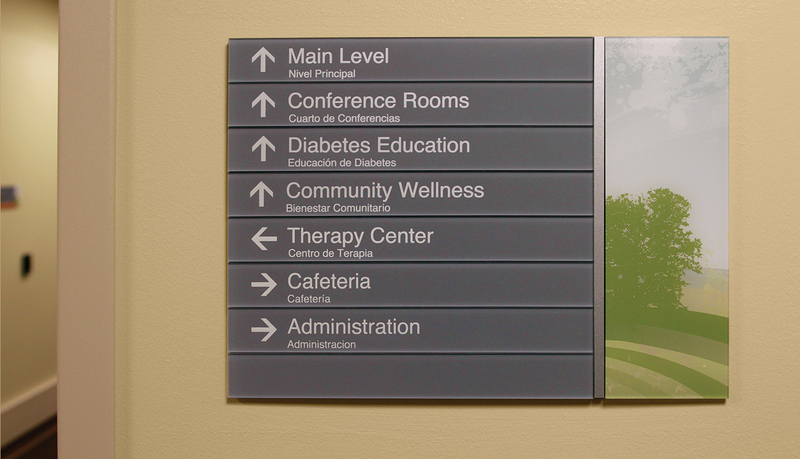 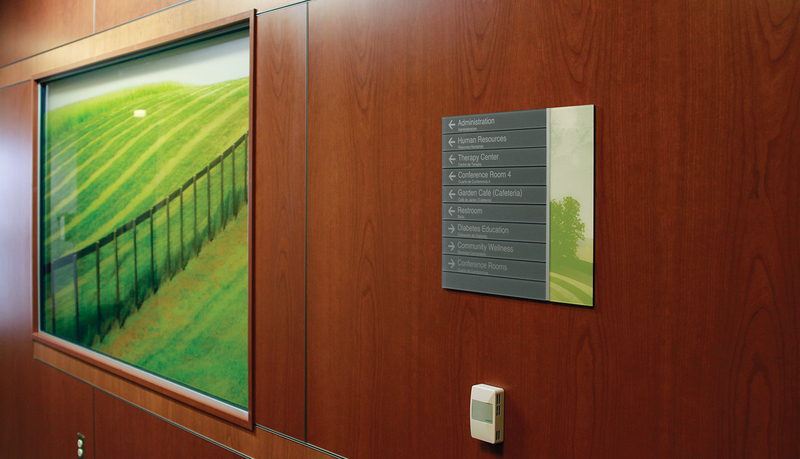 The hospital has five neighborhood themes for the different areas/services offered resulting in a wayfinding solution that helped identifying these areas utilizing a digital print accent for each themed area. 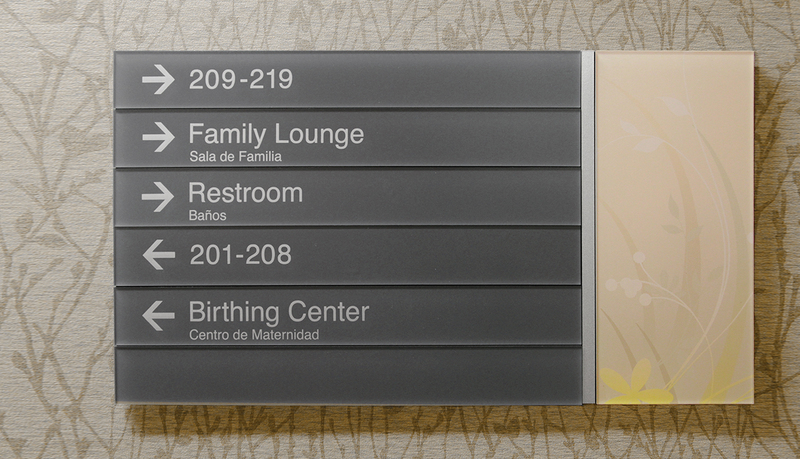 To complement the Hispanic community all signs included a Spanish translation. 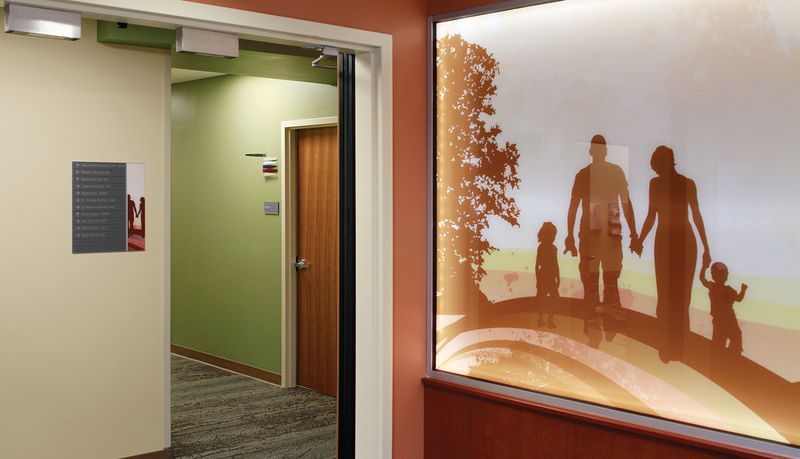 The visibility of the hospital foundation was enhanced through the usage of both static and dynamic signage boosting community involvement. 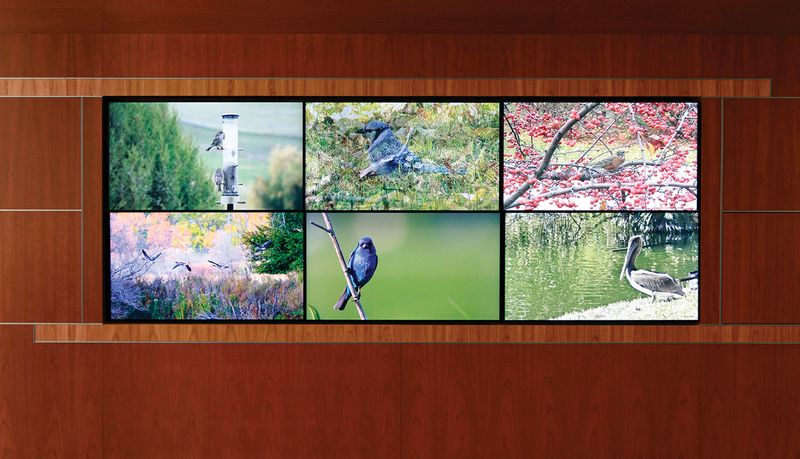 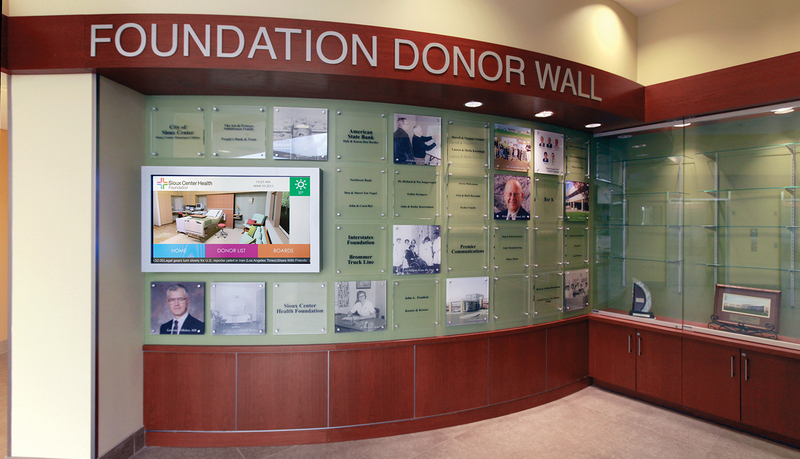 A comprehensive digital solution was implemented utilizing custom content across the following applications: passive reader-board mass information screens, interactive freestanding directory, interactive donor element of the static donor wall, six-screen custom video wall for art features with full video wall capability. 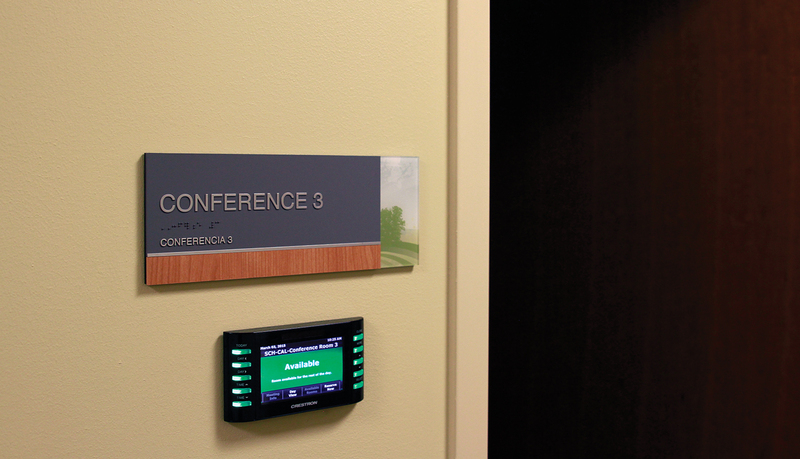 Infinity with Intouch allowed for a contemporary and clean look, that reflects the architecture of the building and interior environment. 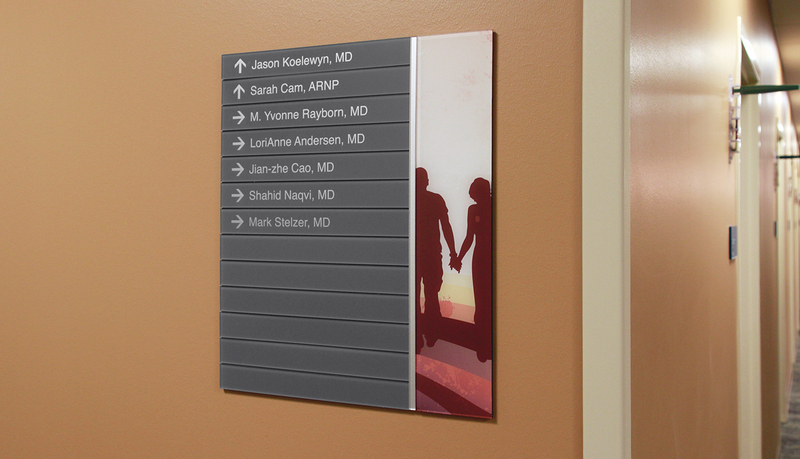 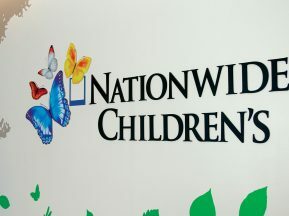 The use of the low profile and modular product offers a simplicity and predictability that blends throughout the hospital while allowing for eye catching digital printed graphics to standout on each major area of the hospital.